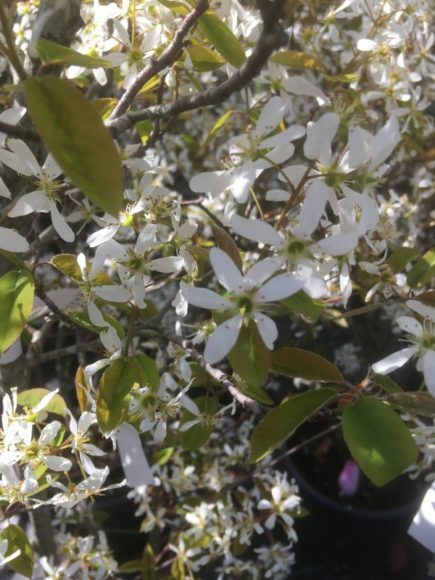 Amelanchier lamarckii is a large deciduous shrub that can also be grown as a small tree. It has an upright, open growth habit. Its bronze young leaves turn a lovely red and orange in the autumn. 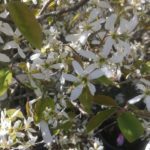 The racemes of delicate white flowers appear in April and May, and they are followed by purple-black fruits. 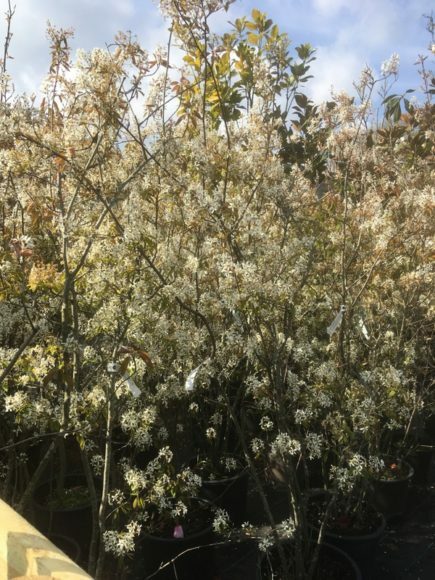 Amelanchier lamarckii is an ideal tree for wildlife as the birds love the berries. 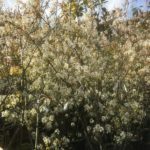 This tree can be grown in full sun or partial shade, in a sheltered or exposed position. It has an eventual height of between 8-12m and a spread of 4-8m. It is best grown in a moist, well-drained soil.